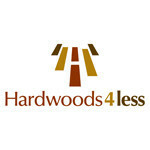 Hardwoods4Less is uniquely situated to provide you with an oustanding selection of pre-finished hardwood flooring at prices other distributors simply cannot match. This is possible by virtue of our knowledge of the industry and our many connections within the milling and pre-finishing supply chain. Much like farming has become "agri-business," the mills of today have changed drastically over the years. Changes in transportation, technology and how people research and choose their hardwood flooring have altered the landscape greatly. Gone are the days of the local mill running locally grown product to serve the local market. Beside more choice for the consumer, this means more competition for the mills and much larger competitors. Many of the mills we partner with are still small or family owned businesses; the same businesses that are the heart of our economy and the first to suffer or get squeezed by big box stores and huge internet retailers. Year after year we've watched the big guys grow to meet wall street's expectations at the expense of the mills, employees, families and their communities. In 2008 we began discussing a plan to bring economies of scale, technology, efficiency and as well as return to fairness to these small suppliers. We recieved an enormous amount of support and encouragement from the mills, vendors, technology partners and previous customers who were anxious to be a part of our new "going small" initiative. As we had suspected, we found that working directly with the mills to bring great quality hardwood flooring direct to the consumer was win / win -- Customers are able to choose from a large selection of high quality hardwood from all around the world at a great price and the mills are able to bring their product direct to market under a fair agreement. Along the way, we've heard a lot of great stories and learned about the character and history of many of these mills and the people behind them. Burchette & Burchette is a custom manufacturer of heirloom quality, bench finished, custom wood floors. We manufacture each floor, per customer, per order, per specification. We also manufacture Architectural elements such as Entry and Interior Doors, Custom Stairs, Wall & Ceiling Paneling, Reclaimed Beams, and a range of other interior wood products. Our specialty is our Ceruse Finishes and creating soft textures, all by hand, which enhance the warmth and patina of our products. We pride ourselves in making your hardwood floors and hardwood flooring purchase as simple and hassle free as possible. We are a trusted partner for installation & refinishing of hardwood floors for homeowners and work on referral with our commercial PRO to PRO programs. Our future is as shiny as our work. Let us know how we can make your hardwood flooring experience one you will appreciate for years to come. Celebrating over 40 Years of Business! 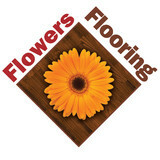 Expertise: We specialize in flooring! It's what we know better than anyone and we've been doing it since 1972. 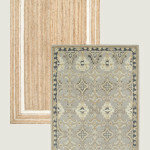 We began as The Plywood Store in 1972 and evolved into Burlington Carpet One through a new location in 2009. 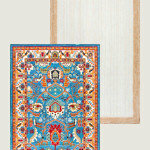 Affordable Pricing: We partner with more than 1,000 stores worldwide, yet our focus is local. We join together to create incredible bargaining power to ensure the lowest prices on flooring across every brand and style- then pass those savings on to you. Simply Better Shopping: You'll find many options in our vast selection of exclusive brands. To make deciding even easier, our SelectAFloor system uses a universal warranty scale to take the guesswork out of comparing floors. So you'll feel great about finding the right flooring for your lifestyle. The Beautiful Guarantee: We're so sure of our brands and installation expertise that we offer The Beautiful Guarantee exclusively - if you're not 100% satisfied with your new floor, we'll replace it for free, including labor! In House Technicians: We value your business- that's why we partner with the best technicians in our industry. They're also employees of Burlington Carpet One, not subcontractors. Having complete control of the installation is our main focus. C.A.R.E. 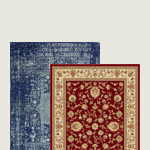 : We support Carpet America Recovery Efforts (C.A.R.E.). 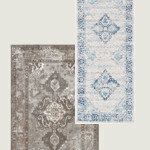 All of the carpet we remove is recycled - never entering landfills. Wood Plus Hardwood Flooring's corporate office and main distribution warehouse is located in the Blue Ridge Mountains of Southwest Virginia, close to interstates 77, 40, 85, and 81. We also have facilities in Mooresville, NC and Raleigh, NC. Our goal is to provide the best possible value, customer service and delivery for our customers. Our staff is dedicated to providing the most knowledgeable and helpful service to all of our current and future customers. We supply customers all over the United States with quality wood products. Our fleet of trucks deliver to 7 states and we can ship anywhere in the United States with competitive rates. Thanks for stopping by! 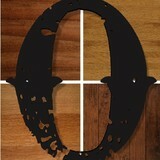 I'm Kent Will, owner of Old Town Wood Floors. I had the privilege of growing up in a small North Carolina town, but first learned the wood flooring trade after moving to Idaho. My employer was a skilled floorman with thirty five years of experience, who was himself "broken in" by a Swedish floorman born in the late 1800s. After working in Idaho for four-plus years I returned to my Winston-Salem roots, finding work with local Triad company. There I gained experience with a larger array of modern tools and techniques. Today, as head of my own company, I stay in touch with industry advances by studying trade journals and talking to fellow craftsman. With years of experience and a passion for the beauty of wood, I believe Old Town ranks with the best flooring services available today. We’re committed to the power of wood flooring to transform any house into a beautiful home. We're neither the cheapest nor the most expensive service in town, but with our emphasis on detail and commitment to using the highest quality materials, I'm convinced we provide a premium value. Our floors can be found in the Buena Vista and Ardmore neighborhoods in Winston-Salem, Pudding Ridge golf course in Mocksville, Northern Shores in Greesboro, Talton Ridge in Cary, and numerous other exclusive settings. Old Town Wood Floors is a legitimate, tax-paying business, and we carry a full complement of insurance and worker's compensation for your safety. *Authorized Armstrong Dealer* Carolina Wood Floors is a locally owned company that has helped thousands of homeowners in Winston-Salem & surrounding communities achieve their home renovation & design dreams. Since 1988, Carolina Wood Floors has been a trusted partner in the selection, design & installation of wood flooring. We are a certified installer for most major manufacturers. Freedom Renovations Inc, Making your Floors Great Again!! - Established 1992. For over Twenty Five years, Owners Chris and Maria Friscia have built a solid reputation as most trusted business. The Friscia's are committed to providing quality service to the community. They believe that a reputation as an honest and reliable business is the recipe for success. While others seek to profit by cutting corners, or recommending unnecessary services to customers, the Friscia's believe that a good reputation and consistent service will reap bigger profits in the long run. By being trustworthy, the Friscia's believe that they will enjoy a long term profitable business that serves the community. 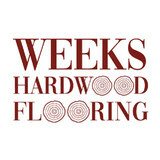 We specialize in Hardwood flooring ( new & refinish), carpet, tile, VCT, back splash, tile showers, painting. Insurance claims specialist, water and smoke damage repairs after the initial clean up. "Knowledge, expertise & personal attention is how we create beauty"
What kinds of services do hardwood flooring installation professionals in Winston-Salem, NC provide? Find hardwood floor experts in Winston-Salem, NC on Houzz. Search the Professionals section for Winston-Salem, NC hardwood flooring installers and dealers or browse Winston-Salem, NC photos of completed installations and look for the professional’s contact information.